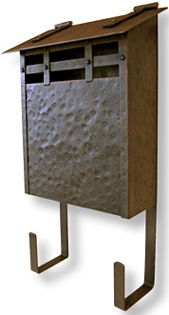 Hammered copper mailbox, a great way to create a first impression of your house. 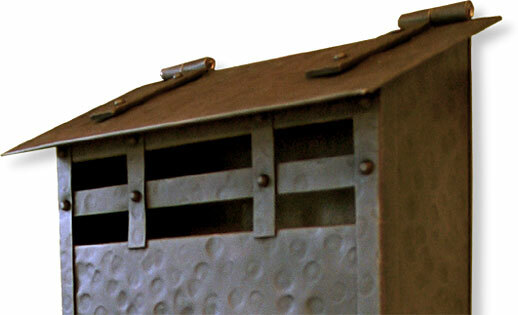 Artisan constructed with a hand applied patina that is a testament to the lasting legacy of fine craftsmanship. Hammered copper, the classic look that never goes out of style! Dimensions are 17" tall x 9.5" wide with a projection of 4", which includes the lid.